By buying this product you can collect up to 4 points. Your cart will total 4 points that can be converted into a voucher of €2.00. 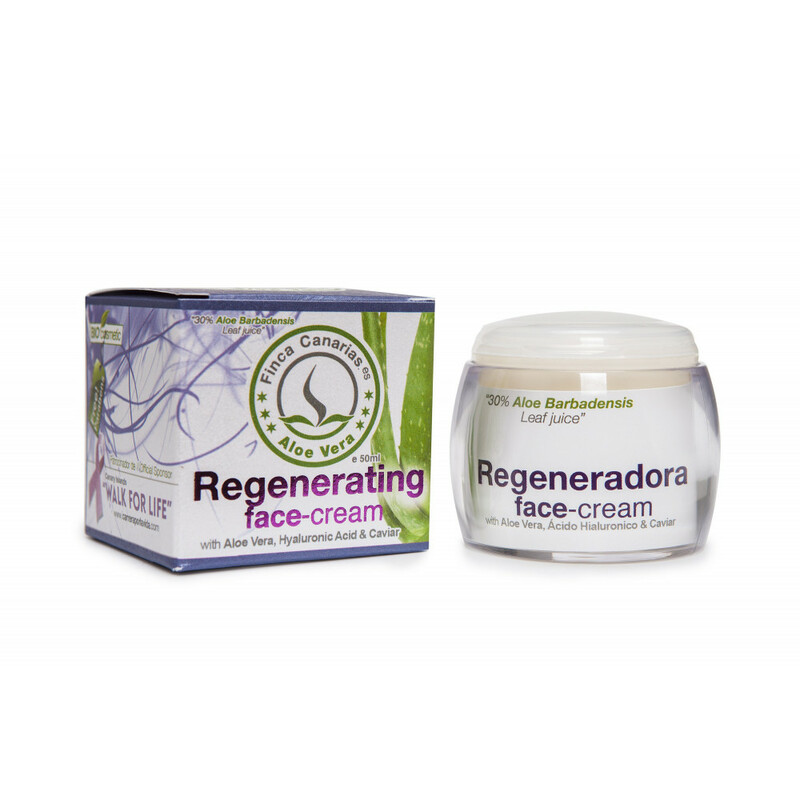 Intensive Regenerative Face Cream. Exclusive formula designed by a dermatologist and plastic surgeon as a regenerative remedy after facial surgery. Contains hyaluronic acid, caviar, avocado oil, pure aloe vera juice and vitamin E.
Hyaluronic acid is a natural substance of our skin, that has the function of regulating its capacity of absorbing water and nutrients. It is responsible of mantaining its natural balance and elasticity. This substance is found in large amounts in the skin of people under 30 years old. After this age, the skin functions begin to deteriorate, and the natural cellular regeneration begin to slow down. At 40 years old, the skin will show only around a 50% of hyaluronic acid, and only 10% after 60 years old. This substance acts as a sponge that holds water from the skin, increasing the volume of the skin creases and wrinkles. It acts as a filler, so it is ideal for supressing all types of wrinkles and facial lines. It is also essential in the repair and cell turnover of the skin. It helps to clear age spots, and to add elasticity and firmness. Moreover, sturgeon caviar tones up the skin and provides many essential amino acids, proteins and minerals, as well as vitamins A, C, B2, B6, B12, and phospholipids (for regeneration). In the end, avocado oil, considered the most nutritive and antioxidant vegetable oil, and pure Aloe Vera juice, make an ideal mix for intensive hydration. This cream will tone up your face, neck and chest. In few weeks you will discover a glowing, nourished and healthy looking skin. This non-greasy formula can be used as a day or night cream. Apply the cream in the morning or evening on face, eye contour and neck until it is completely absorbed. Prior to application, the skin must be clean and dry. It is recommended to exfoliate your skin around 3-4 times a week, in order to keep the pores clean and ready for a properly absorption of a moisturizer cream. Know a bit more about our facial peeling based on apricot bone and fresh Aloe Vera juice . 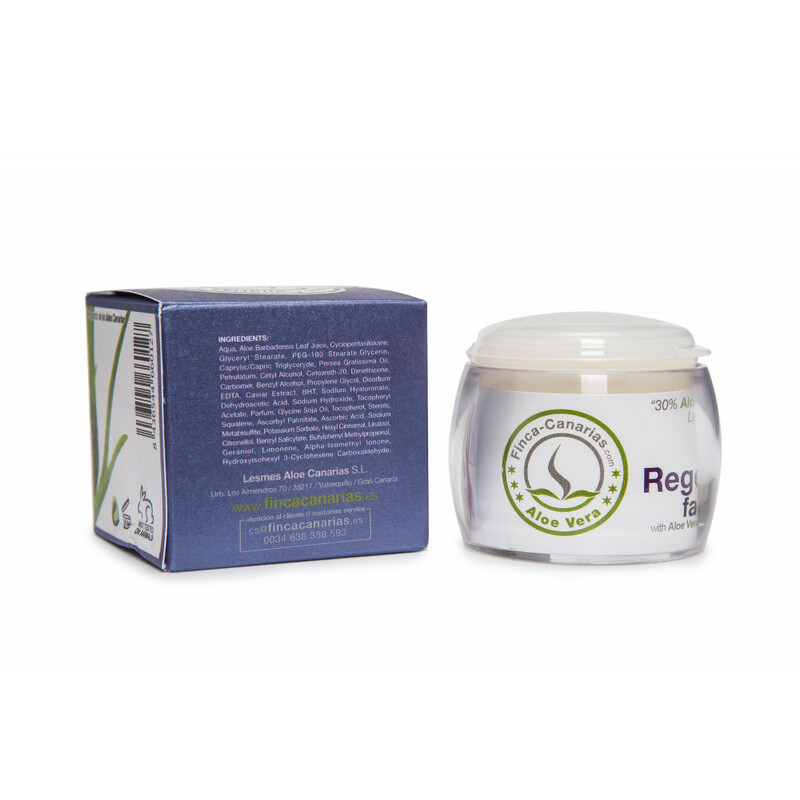 This cream can be used as a moisturizer day or night cream. Thanks to the fresh Aloe Vera juice contained on it, all substances are absorbed much faster without leaving an oily sensation. It can be used by people of any age. Store in a cool, dry place. Away from direct sunlight. We recommend to apply the cream with a plastic spoon, in order not to contaminate the product with your fingers. This product will last 12 months once opened. Register to receive our news and offers.